George Glasgow died before 2000. Walter J. Freuler was buried at Suset Memorial Park & Mausoleum, St. Louis, St. Louis, Missouri. Walter J. Freuler was born on 22 August 1902 at Missouri. He was the son of Otto F. Freuler and Augusta Josephine Kurrus. Married Name Her married name was Freuler. Martha Trapp married Walter J. Freuler, son of Otto F. Freuler and Augusta Josephine Kurrus. Martha Trapp was born on 23 September 1901. She died on 7 May 1969 at age 67. She was buried after 7 May 1969 at Suset Memorial Park & Mausoleum, St. Louis, St. Louis, Missouri. Otto E. Freuler was born on 24 March 1907 at Missouri. Otto E. Freuler married Joan Schrott before 1930. Otto E. Freuler obtained US Social Security Card at Missouri; last residence Santa Barbara, Santa Barbara, California. Married Name before 1930 As of before 1930,her married name was Freuler. Joan Schrott married Otto E. Freuler, son of Otto F. Freuler and Augusta Josephine Kurrus, before 1930. Frederic Freuler was born on 24 August 1913 at Missouri. Frederic Freuler died on 13 February 1973 at age 59. Name Variation Louis Jacob Freuler was also known as L. J.
Louis Jacob Freuler was born on 23 August 1883 at Highland, Madison, Illinois, also reported as Aug 1882. Louis Jacob Freuler married Marie Albertine Schlender, daughter of Christoph W. Schlender and Maria Louisa Oelschlaeger, on 20 June 1912. Louis Jacob Freuler died on 8 July 1949 at Hermann, Gasconade, Missouri, at age 65. [S245] U.S. Federal Census 1900 U.S. Federal Census, by Ancestry.com, Year: 1900; Census Place: St Louis Ward 8, St Louis (Independent City), Missouri; Roll: T623_892; Page: 18A; Enumeration District: 125. [S250] U.S. Federal Census 1930 U.S. Federal Census, by Ancestry.com, Year: 1930; Census Place: St Louis, St Louis (Independent City), Missouri; Roll: T626_1235; Page: 5B; Enumeration District: 477; Image: 0285. Married Name 20 June 1912 As of 20 June 1912,her married name was Freuler. Marie Albertine Schlender was born on 4 July 1883 at Hermann, Gasconade, Missouri. She was the daughter of Christoph W. Schlender and Maria Louisa Oelschlaeger. Marie Albertine Schlender married Louis Jacob Freuler, son of Jacob Freuler and Barbara Ann Mollet, on 20 June 1912. Marie Albertine Schlender died on 6 February 1954 at St. Louis, Missouri, at age 70. Marie Albertine Schlender had zero children. Edward Rudolph Freuler was never married. He was born on 18 January 1885 at Highland, Madison, Illinois. Edward Rudolph Freuler died on 29 January 1933 at age 48. [S250] U.S. Federal Census 1930 U.S. Federal Census, by Ancestry.com, Year: 1930; Census Place: St Louis, St Louis (Independent City), Missouri; Roll: 1232; Page: 5A; Enumeration District: 414; Image: 592.0. Name Variation Alice E. Freuler was also known as Alice B. Married Name 4 July 1919 As of 4 July 1919,her married name was Schlender. Alice E. Freuler was born on 22 July 1889 at Highland, Madison, Illinois. Alice E. Freuler married William Carl Schlender, son of Christoph W. Schlender and Maria Louisa Oelschlaeger, on 4 July 1919 at St. Louis, Missouri, also reported as 04 Aug 1919. Alice E. Freuler died on 6 March 1969 at Hermann, Gasconade, Missouri, at age 79 also reported as 07 Mar 1969. [S243] U.S. Federal Census 1920 U.S. Federal Census, by Ancestry.com, ED92. Dwelling 196. Name Variation William Carl Schlender was also known as Wilhelm Carl. William Carl Schlender was born on 8 December 1891 at Hermann, Gasconade, Missouri. He was the son of Christoph W. Schlender and Maria Louisa Oelschlaeger. William Carl Schlender married Alice E. Freuler, daughter of Jacob Freuler and Barbara Ann Mollet, on 4 July 1919 at St. Louis, Missouri, also reported as 04 Aug 1919. William Carl Schlender died on 12 December 1974 at from stroke at age 83. William Carl Schlender obtained US Social Security Card at Missouri; last residence Hermann, Gasconade, Missouri. Married Name 31 July 1943 As of 31 July 1943,her married name was Kozlowski. Marguerite M. Schlender was born on 28 June 1920 at Hermann, Gasconade, Missouri, also reported as 22 Jun 1920. She was the daughter of William Carl Schlender and Alice E. Freuler. Marguerite M. Schlender died on 29 September 1967 at age 47. Marguerite M. Schlender had zero children. Frank M. Medinnus was born circa 1875 at Germany. Frank M. Medinnus married Josephine Johanna Mollet, daughter of Gotthardt Mollet and Mary Josephine Braunesreither, circa 1897 at Minneapolis, Hennepin, Minnesota. Frank M. Medinnus died before 1940. 18 April 1930 Minneapolis, Hennepin, Minnesota He was listed as the head of a family on the 1930 Census at Minneapolis, Hennepin, Minnesota. Frank M. Medinnus immigrated in 1878. He was a brakeman on the steam railroad in 1930. Married Name circa 1920 As of circa 1920,her married name was Stelljer. Married Name circa 1920 As of circa 1920,her married name was Stelljes. Married Name circa 1920 As of circa 1920,her married name was Stephens. Edith F. Medinnus was born on 2 October 1897 at South Dakota. She was the daughter of Frank M. Medinnus and Josephine Johanna Mollet. 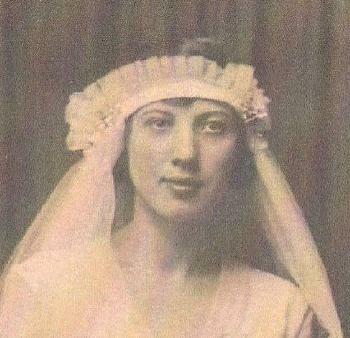 Edith F. Medinnus married George J. Stelljes circa 1920. Edith F. Medinnus and George J. Stelljes were divorced before 1940. Edith F. Medinnus died on 31 August 1984 at Hennepin, Minnesota, at age 86. [S250] U.S. Federal Census 1930 U.S. Federal Census, by Ancestry.com, Year: 1930; Census Place: Minneapolis, Hennepin, Minnesota; Roll: 1098; Page: 14A; Enumeration District: 230; Image: 745.0; FHL microfilm: 2340833. Name Variation George J. Stelljes was also known as Stelljer. Name Variation George J. Stelljes was also known as Stephens. George J. Stelljes was born on 2 December 1893 at Minnesota. He married Edith F. Medinnus, daughter of Frank M. Medinnus and Josephine Johanna Mollet, circa 1920. 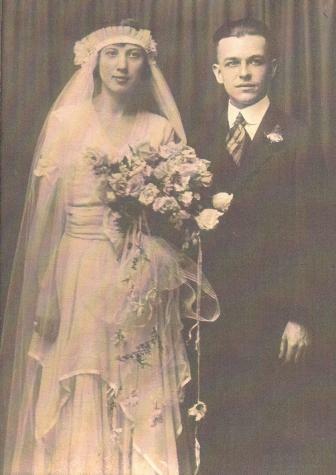 George J. Stelljes and Edith F. Medinnus were divorced before 1940. George J. Stelljes died on 31 May 1964 at Minnesota at age 70. Joseph Gottlieb Bierle was born on 5 May 1881 at South Dakota. Joseph Gottlieb Bierle died on 16 July 1957 at Yankton, South Dakota, at age 76. Oscar Christian Bierle was born on 18 June 1907 at South Dakota. He was the son of Joseph Gottlieb Bierle and Katherine C. Mollet. Oscar Christian Bierle married Lucille Ella Skorepa, daughter of William Skorepa and Clara B. Hewer, on 8 October 1930 at Yankton, South Dakota. Oscar Christian Bierle died in June 1984. Oscar Christian Bierle obtained US Social Security Card at South Dakota; last residence Sioux Falls, Minnehaha, South Dakota. Louis G. Bierle was born in December 1914 at South Dakota. Louis G. Bierle married Nelda E. Soyland, daughter of Anton Soyland and Nella (? ), on 2 October 1937 at Yankton, South Dakota. Louis G. Bierle died in April 1959 at age 44. Louis G. Bierle obtained US Social Security Card at South Dakota; last residence not specified. Married Name before 1922 As of before 1922,her married name was Mollet. Bessie Beebe Roush was born on 26 February 1899 at Nebraska. Bessie Beebe Roush married William A. Mollet, son of Gotthardt Mollet and Mary Josephine Braunesreither, before 1922. Bessie Beebe Roush died on 24 June 1989 at age 90. 1925 South Dakota Bessie Beebe Roush appeared on the census of 1925 in the household of William A. Mollet at South Dakota. 1935 Draper, Jones, South Dakota Bessie Beebe Roush appeared on the census of 1935 at Draper, Jones, South Dakota, listed as widowed. Bessie Beebe Roush obtained US Social Security Card at South Dakota; last residence Mitchell, Davison, South Dakota. [S243] U.S. Federal Census 1920 U.S. Federal Census, by Ancestry.com, ED103. Dwelling 15. [S250] U.S. Federal Census 1930 U.S. Federal Census, by Ancestry.com, ED38-6. Dwelling 18. [S373] U.S. Federal Census 1940 U.S. Federal Census, by Ancestry.com, Year: 1940; Census Place: Draper, Jones, South Dakota; Roll: T627_3859; Page: 1A; Enumeration District: 38-6. Thomas O. Jonasen was born on 5 May 1927 at South Dakota. He was the son of Oscar T. Jonasen and Sarah Agnes Mooney. Thomas O. Jonasen died on 26 October 1984 at age 57. [S250] U.S. Federal Census 1930 U.S. Federal Census, by Ancestry.com, Year: 1930; Census Place: Butler, Sanborn, South Dakota; Roll: 2230; Page: 4A; Enumeration District: 0004; Image: 398.0; FHL microfilm: 2341964. William T. Jonasen was born on 1 April 1949. He was the son of Thomas O. Jonasen. William T. Jonasen died on 23 July 1974 at age 25. Name Variation Mary Elizabeth Mollet was also known as May. Married Name 16 November 1944 As of 16 November 1944,her married name was Craig. Mary Elizabeth Mollet was born on 9 April 1922 at South Dakota. She was the daughter of William A. Mollet and Bessie Beebe Roush. Mary Elizabeth Mollet died on 28 August 1998 at age 76. 1925 South Dakota Mary Elizabeth Mollet appeared on the census of 1925 in the household of William A. Mollet at South Dakota. 1935 Draper, Jones, South Dakota Mary Elizabeth Mollet appeared on the census of 1935 in the household of Bessie Beebe Roush at Draper, Jones, South Dakota; listed as widowed. Married Name 21 December 1946 As of 21 December 1946,her married name was Pranke. Eva May Mollet was born circa 1925 at South Dakota. Eva May Mollet died on 17 June 1966 at Sioux City, Woodbury, Iowa. 1925 South Dakota Eva May Mollet appeared on the census of 1925 in the household of William A. Mollet at South Dakota. 1935 Draper, Jones, South Dakota Eva May Mollet appeared on the census of 1935 in the household of Bessie Beebe Roush at Draper, Jones, South Dakota; listed as widowed. Name Variation Laverne Louis Pranke was also known as Lavern Louis. Laverne Louis Pranke was born on 28 July 1922 at Sioux City, Woodbury, Iowa. He was the son of Herman Simon Pranke and Margaret Agnes Loubey. Laverne Louis Pranke married Rita M. Finken on 29 May 1970. Laverne Louis Pranke died on 18 February 2013 at age 90 Laverne Louis Pranke, 90, of Sioux City died Monday, Feb. 18, 2013, in Harlingen, Texas. Services will be 10:30 a.m. Wednesday at Immaculate Conception Catholic Church in Sioux City. The Rev. Armand Bertrand will officiate. Burial will be in Calvary Cemetery. Visitation will be 4 to 8 p.m. today, with the family present 6 to 8 p.m. and a parish vigil service at 7 p.m., at Morningside Chapel, Christy-Smith Funeral Home. Laverne was born in Sioux City on July 28, 1922, the son of Herman and Margaret (Loubey) Pranke. He was raised in Sioux City and graduated from East High School in 1941 and National Business Training School in 1952 (accounting). He joined the U.S. Army in 1942, serving in the European Theater during World War II. He earned the rank of sergeant and was awarded two Battle Stars, one for the Battle of the Bulge and the other for European operations. He served under Generals Bradley and Patton. After the service, he worked as a railroad mail sorter and later for the U.S. Postal Service, where he worked for 30 years. He also worked in accounting for several firms. On Dec. 21, 1946, he married Eva Mollet in Mitchell, S.D. She passed away on June 17, 1966 in Sioux City. He then married Rita Finken on May 29, 1970. She passed away on Aug. 11, 1996. On Dec. 5, 1998, he married LaTricia Saunders in Sioux City. Laverne was a member of Immaculate Conception Catholic Church and Morningside Council 5660 of the Knights of Columbus. He was a member of Boys of 68 and the VFW. He enjoyed baseball, softball, bowling and golf (including a hole-in-one in 2004). He was an avid Hawkeyes and Cubs fan. The most important part of Laverne's life was spending time with his wife, children, grandchildren and his extended family. On Oct. 13, 2009, he proudly joined other veterans on a Honor Flight to Washington, D.C. to see the World War II Veterans Memorial. He is survived by his wife, LaTricia of Sioux City; four children, Becky and Leon Stidfole of Altoona, Iowa, Greg and Julie (Miller) Pranke of Sioux City, Janice Pranke of Minneapolis, and Cheri and Chris Van Schepen of Runnells, Iowa; four grandchildren, Jaimie (Josh), Aaron, Nicole and Austin; two great-grandchildren, Chloe and Cale; stepchildren, Myrna Powers, Jean Wisor, Dale Finken, Mel Finken, Gary Finken, Charlene LeMoine, Dan Finken, Bill Saunders, Bob Saunders and Marie Primm; many stepgrandchildren and great-stepgrandchildren; a brother, Darrell and Frances Pranke of Sioux City; and a sister, Vera and Bill Manley of Akron, Iowa. He was preceded in death by his parents; two wives; two brothers, Ed and Herman; a sister, Marge; and three stepchildren, Ron Finken, Glen Finken and Michael Saunders. Lloyd Mollet was born before 1930. He was the son of William A. Mollet and Bessie Beebe Roush. John P. Hamann was born circa 1871 at Denmark. He was the son of Detleff F. Hamann and Mary C. (?). John P. Hamann married Amelia Mollet, daughter of Gotthardt Mollet and Mary Josephine Braunesreither, circa 1892. John P. Hamann died after 1940. He was buried after 1940 at Wells, North Dakota. John P. Hamann purchased land on 5 May 1910 at Township 146N Range 72W, Wells, North Dakota, Section 34 Acreage 160 Type 251101 Casetype PA DocID 128317. [S244] U.S. Federal Census 1910 U.S. Federal Census, by Ancestry.com, ED204. Dwelling 30. [S243] U.S. Federal Census 1920 U.S. Federal Census, by Ancestry.com, ED246. Dwelling 30. [S373] U.S. Federal Census 1940 U.S. Federal Census, by Ancestry.com, Year: 1940; Census Place: Belknap, Sanders, Montana; Roll: T627_2229; Page: 1A; Enumeration District: 45-6. [S9] South Dakota, South Dakota Birth Records South Dakota, File Date: January 21, 1942 (unknown file date). [S9] South Dakota, South Dakota Birth Records South Dakota, File Date: February 01, 1962 (unknown file date). 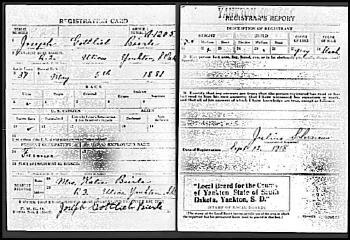 [S9] South Dakota, South Dakota Birth Records South Dakota, State File Number: 570265 (unknown file date). Name Variation Lillie Mollet was also known as Lilly. Lillie Mollet was born circa 1891. Lillie Mollet died on 17 June 1893 age 2 years. Warren John Mollet was the son of Charles Mollet and Alice Armstrong. Name Variation Henry Harry Mollet was also known as H. H.
Name Variation Henry Harry Mollet was also known as Henry Harry Yepsen surname of step-dad. Henry Harry Mollet was born on 27 November 1894 at Greenville, Illinois. He was the son of Charles Mollet and Alice Armstrong. [S244] U.S. Federal Census 1910 U.S. Federal Census, by Ancestry.com, Year: 1910; Census Place: Walnut, Bureau, Illinois; Roll: T624_232; Page: 10A; Enumeration District: 0031; FHL microfilm: 1374245. [S243] U.S. Federal Census 1920 U.S. Federal Census, by Ancestry.com, Year: 1920; Census Place: Ontario, Knox, Illinois; Roll: T625_380; Page: 12B; Enumeration District: 185; Image: 518. [S243] U.S. Federal Census 1920 U.S. Federal Census, by Ancestry.com, Year: 1920; Census Place: Walnut, Bureau, Illinois; Roll: T625_300; Page: 12B; Enumeration District: 28; Image: 1043. Married Name Her married name was Frye. Ethel Mollet was born on 20 July 1893. She was the daughter of Charles Mollet and Alice Armstrong.